Growing Strawberries in Tropical Climates? Q: Growing Strawberries in Tropical Climates? I am interested in Strawberry varieties which are most suitable for growing in tropical climates…particuarly the Philippines. So far I have found out the following are perhaps suitable: Red Gauntlet, Tioga, Cambridge, Turft. However, I struggle to find much more about these, especially where to get the seeds from. Can you help? Answer to: Growing Strawberries in Tropical Climates? Just about all strawberry varieties do better in temperate climates rather than tropical ones, unless they are grown at altitudes where it is cooler. Though the plants will likely grow with appropriate soil, water, and attention, you may want to read about the most common reasons why Strawberry Plants Don’t Produce Strawberries. Additionally, most modern Fragaria x ananassa garden strawberry varieties won’t grow true from seed as discussed on the Strawberry Seeds page. To find strawberry seeds, you can visit the directory of Strawberry Seeds for Sale. To find strawberry plant varieties, you can visit the directory of suppliers who offer Strawberry Plants for Sale. To shop by strawberry variety instead of by supplier, visit the Buy Strawberry Plants page. For the specific varieties you mentioned, you can go directly to the sellers who offer them by clicking these links, respectively: Cambridge Favourite, Cambridge Prizewinner, Cambridge Vigour, Red Gauntlet, Tioga. If you do decide to order from overseas companies and have them sent to you, you might benefit from this information: Shipping Strawberry Plants. I am looking into growing strawberries in Jamaica, about 2000 ft above sea level. Temps here in the summer are 85f in the day and 70f at night. I know Strawberries like cool temps, but is this focussing on root zone temps or shoot zone temps? I am planning to grow hydroponically, therefore i can control the root zone temp and keep it as low as I like. But if the ambient temperature is what affects them, then thats a bigger problem to solve. I am planning to chill the nutrient solution to about 60f. 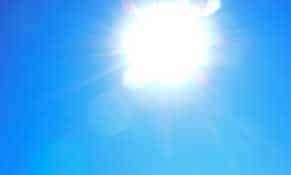 I live in Uganda where the temperatures are between 18-27 degrees centigrade. I started growing strawberries in May of this year and the are doing really well. I planted the everbearing variety. We do have people here growing them commercially without trying to control the temperature. The only major worry is irrigation during the dry season. I cultivating strawberries on open grounds in a tropical region in Sri Lanka , I’m doing everything right according to my study and others experiences . But the humidity over here is above 95 percent through out the year . My strawberries are smaller in size , not really small , plus they aren’t hard and juicy enough . Is the humidity affecting ? If so what can I do to prevent this . Myand Sharma good to know that you are successful with your strawberries. Can you please provide us with more detailed information,such as variety of plant, altitude, fertilizer, etc.. I am growing strawberry in singapore my mock strawberries flower but my wild strawberries still have not flower. my temperature is around 30 degree and my hydroponics solution is cooled to 25 degree daytime and 20 degree night time. I am growing strawberry in a very hot tropical climate in Sarawak. I started more than a year ago with only 1 plant. At the begining it was very difficult to grow but now i believed its growing well. It seemed my strawberry is adapting to local climate after many generation of propogation. After trying it for a while, with many varieties, many conditions, many treatments, hot condition, low altitude, the berry will have flowering in two condition, the runner is originated from high altitude cooler place, or he plant suffering a hot condition and lack of water, it develop a flower, a fruit and then died, the plant easy to survive and can be bigger in hydroponic with about 40 leaves in single plants but flowering will always need cold conditions as mentions, biggest fruits i get is only about a thump, afew gr, small compare to original fruit in temperate climate, so vegetatif row shouod not b issue, and with about for alpine type is easy to have flowers and fruits. I live in a country with temperature between 75 – 85 Fahrenheit year round. Also just two season wet or dry. Humidity levels within the 80s. Can strawberries be grown here? I’m Amila and Sri Lankan. i had 2 years experiace cultivating strawberry in cold places in Sri Lanka. now i’m cultivating strawberry in tropical areas in our country small scale. it can do but hard. Hello Mr amila , I’m a Sri Lankan too , starting my strawberry cultivation next season , it would be great to get some advise from you on it . Please guide me 😊 . Thank you for this website, it’s very helpful, especially for a novice like me. I’m in Miami, Florida, and I’d like to know if I still have a chance to plant some strawberries from seeds before the tropical heat really arrives? Thanks for your answer. Thanks for the website. 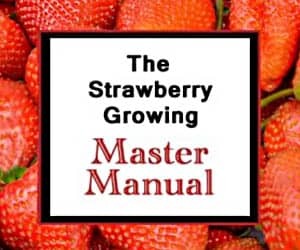 Its been really helpful for me for being aware of various tips for growing strawberries. I always wanted to grow strawberries as they taste so yummy. In the above comments, I come to know that growing strawberries in the tropics is pretty tough. But fortunately, it doesn’t apply for my region. I stay in West Bengal, India. My city just comes on the way of the tropic of cancer and many of the residents living here are growing strawberries successfully in here. In mid February, Its still pretty cold in here in the mornings and after sunset, otherwise there’s continuous sunshine in here for 4-5 hours, and the rest of the daytime is full of shade because of trees. Recently, I bought some potted strawberry plants and I’ve been taking full care of them and they have been thriving pretty well in here, continuously flowering and bearing plenty of fruits. Summer’s approaching and isn’t too far. In the coming months, violent thunderstorms come anually. These thunderstorms are accompanied by strong squally winds and torrential rainfall. How can I prepare my strawberry plants for the weather? Question, how well do strawberries produce inside a building, climate controlled, without access to bees for pollination? I am on a ship and would like strawberries, but worry they would grow, flower, and then not produce. I can’t grow them outside since it is tropical and I doubt bees would fly the (more than) mile to the ship even if they were outside for pollination. I was thinking inside maybe with a grow lamp in a hanging basket. Taga-batangas ako,I planted my strawberries in plastic bags in our roof deck where it is exposed in harsh heat of the sun. My two plants manage to bear lots of flowers but only produce two berries. Yes it is possible to grow strawberries in tropical climates, the plant just need acclimatization and good care. Very sorry for the confusion. Actually I am looking for seeds of strawberry varieties that are suitable for growing under tropical climates conditions, where altitude is more than 1000 meters above see level. I have no experience, but want to try. Strawberries can be grown in the tropics at altitude, as long as the soil is of good quality and water needs are also met. However, there aren’t many that produce the large strawberries from seed. You might want to try Delizz. Good luck! Thank you so much for the very informative website. The issue of growing strawberries under tropical climate conditions looks very interesting. Since strawberry is a temperate plant, my understanding is that it can only grow and produce in the tropics under two conditions: altitude and artificial climate controlled. However, we better information on strawberry varieties that are most suitable for tropical climates. I don’t quite understand your last sentence, but if you have information on how to get strawberries to do well in the tropics, feel free to share! Thanks! what are the most suitable strawbery varieties for the tropic? Unfortunately, none of them. They are temperate by nature. I’m sorry! I plan on constructing a green house and grow strawberries commercially. what varieties would be best as i live in East Africa, Uganda to be exact? Unfortunately, I am not familiar with which varieties are available in you location. Most of the commercially available varieties will do fine in a climate-controlled greenhouse, however. Good luck! Strawberries will have a lot of difficulty growing and producing strawberries there outdoors. However, you have a climate-controlled location for them to grow, they can do well. Good luck! I live in Trinidad and I’m have strawberries growing ,flowering and bearing. Great! Thanks for sharing! Strawberries can do well most places in a climate-controlled situation. I’m glad yours is succeeding! Good luck! Is your hydroponic setup completely climate controlled (i.e. In a temperature controlled greenhouse)? If your setup is outdoors are you at low elevation? I’m also in Trinidad and interested in trying to grow strawberries, but outdoors (at relatively high elevation where temperatures are generally quite low at night).